Performing artists: Jaguar Mary X, Claire Zakiewicz + Siw Laurent, Megwyn White, Prieztezz Or Nah + Undakova, & Greem Jellyfish. Since the 90s of XXc philosophers and art historians were looking for a term to describe the era after postmodernism, and while the term “anthropocene” became one of them, in terms of cultural production we are experiencing a new type of romanticism: return to feminine, mysticism, magic, nature and spirituality. The occult and magical are re-appearing throughout different art mediums possibly as an answer to our increasingly materialistic world. As a response to this shift of paradigms, a performance art series themed Magic and Shamanism encompasses works focused on ritual, shamanic traditions (including healing and shapeshifting), paganism, witchcraft, occult, esoteric teachings, folk magic, as well as astrology, magical intents, narratives derived from mythology and religions, magical and symbolic languages such as grimoires and sigils. Plato described the role of an artist as the one who translates the meanings of the cosmic consciousness for the rest of us. In a similar manner the Shaman or Shamanese, are the go-between medium, revealing the will of the divine and connecting the tribe with its vital force. Today’s artists can be perceived as traditional shamans possessing the power of accelerating humanity’s evolution in consciousness. In pre-Kantian philosophy “Platonic Ideas and Forms” are describe as NOUMENA, and phenomena are things displaying themselves to the senses. 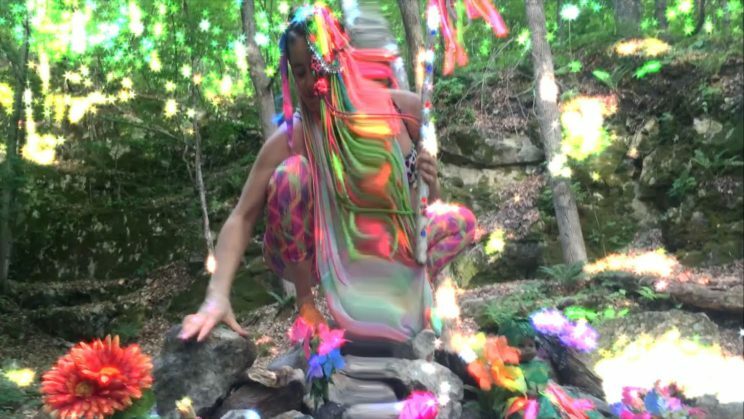 In this event NOUMENA: INITIATION we invite you to explore the IDEAL somehow unknowable WORLD with a group of performance artists whose work carries on shamanic traditions.